Join Tonya & Heather for 11 hours of scrappy fun and good food. 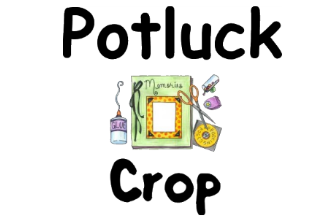 Your crop fee includes crop space (half of an 8′ table) and a donation to the Gillie Senior Center for providing a wonderful cropping room. You bring a food item to share and whatever you would like to drink. Indiana Convention Center	100 South Capitol Ave. Create your own personal magic wand. 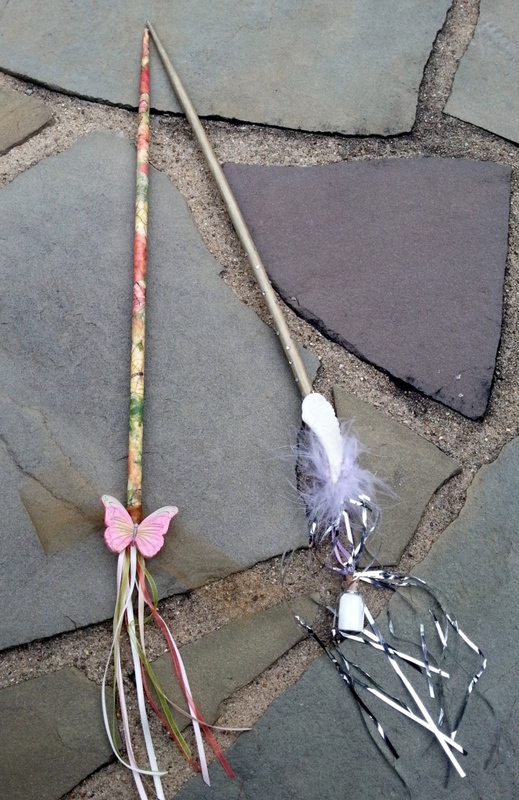 Embellish the wand to reflect your own style & how you plan to use your wand. 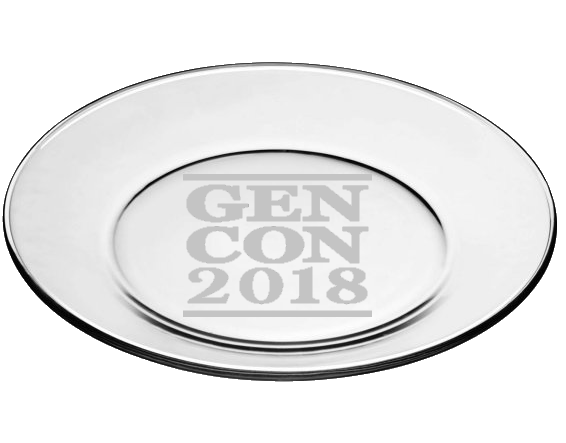 Turn 4 glass plates (about 9-10in diameter) into the perfect serving plates with images you choose. Many choices of emblems, first come first served. Create your own fantasy themed wall art by painting & stenciling a pallet plaque. 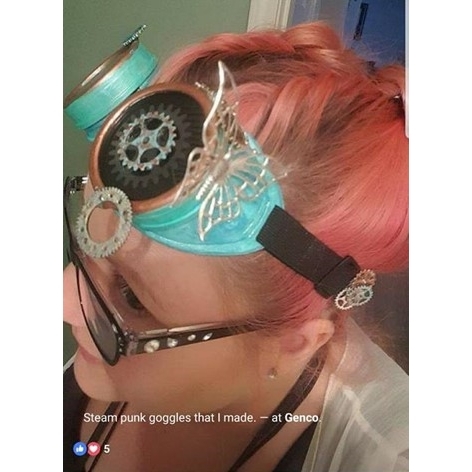 Create a pair of steampunk cosplay goggles. 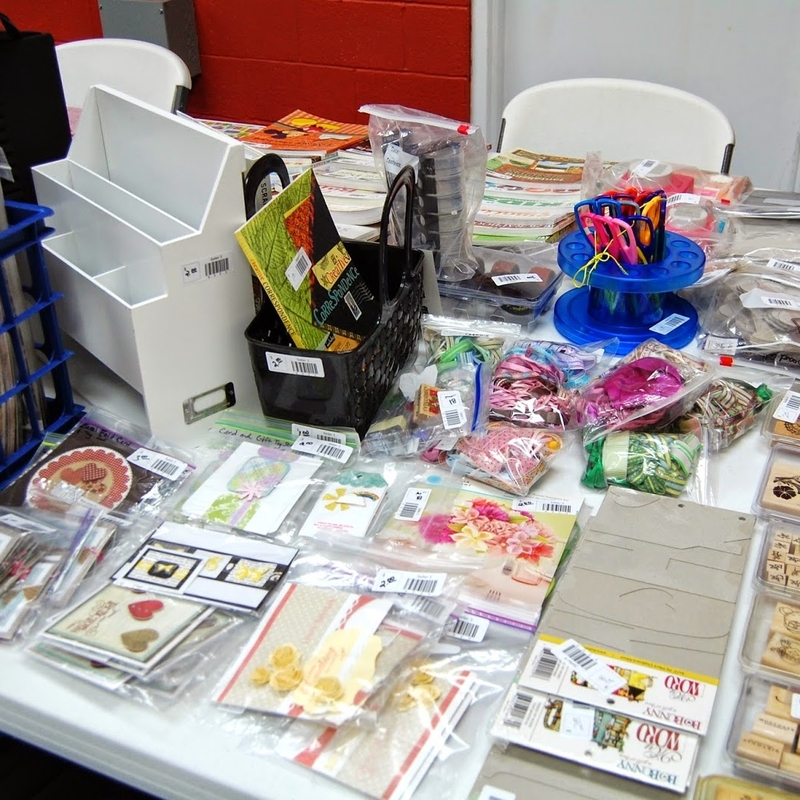 Items provided in class range from gears & cogs, nerdy & gamer so you can really get creative! 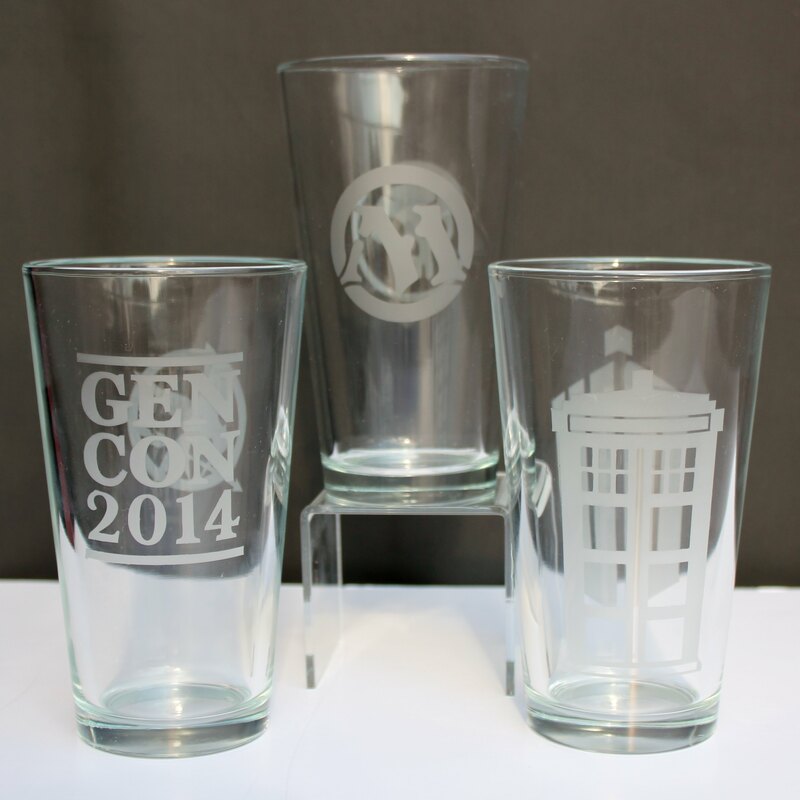 Turn 4 tall pint glasses into the perfect drinking vessels with images you choose. Many choices of emblems, first come first served. 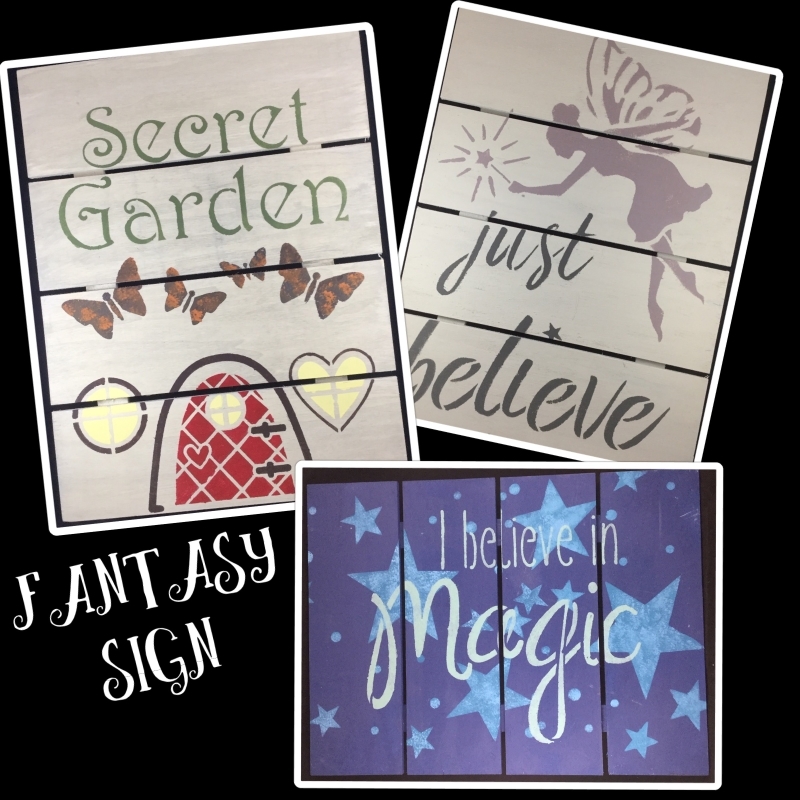 Create your own fantasy themed wall art by painting and stenciling a pallet plaque. Masquerade time! 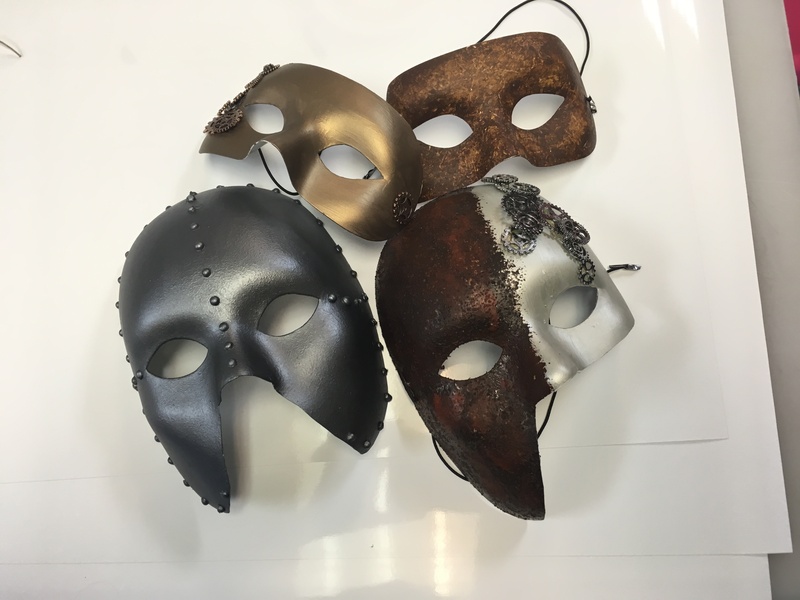 Create a one of a kind piece of wearable art from a plain mask. Decorate it to fit your personal style. Great for cosplay. Build a Doctor Who inspired wall clock. Decorate it to suit your style! 2 Choices; Blue police box or weeping angel. Use scissors to cut & trim HeatForm to create a unique crown. 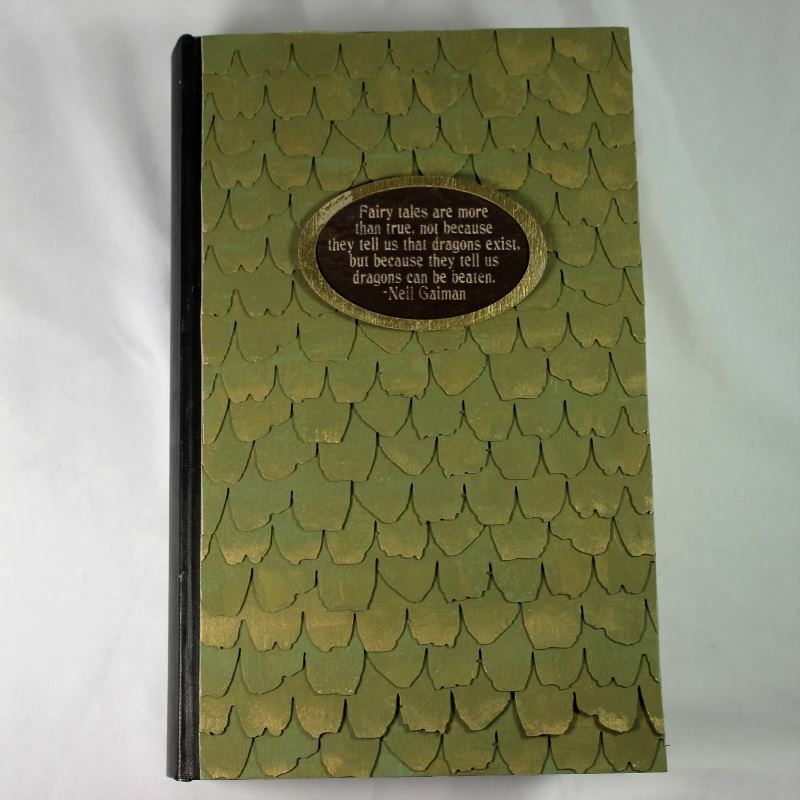 Start with a plain book box & transform it in to a box covered with dragon scales on the front. Perfect for cards, game pieces or even remote controls. 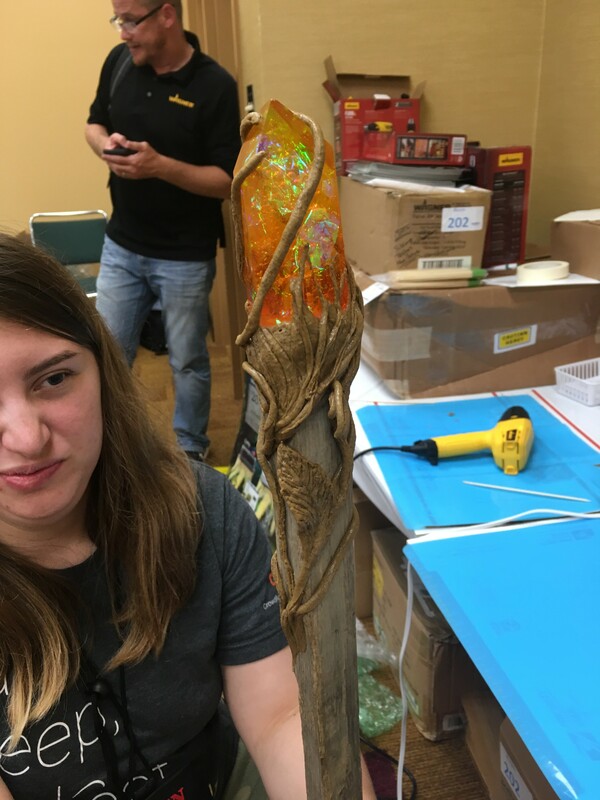 Create a unique wizard or elfish staff, adorned with a “crystal” made from clear casting epoxy on top, but cutting & shaping heat-activated thermo-plastic. Build a dice tower & felt-lined tray. Decorate it to suit your style! 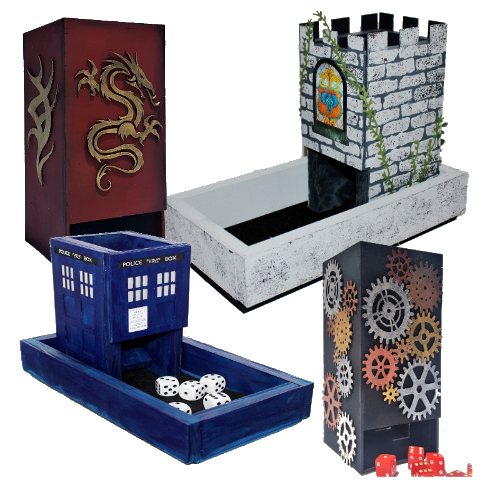 4 Choices; Doctor Who inspired blue police box, Celtic dragon, steampunk or castle. A large glass eye, texture and painted finishes transform a wood hinged cigar box to a fantasy storage chest. 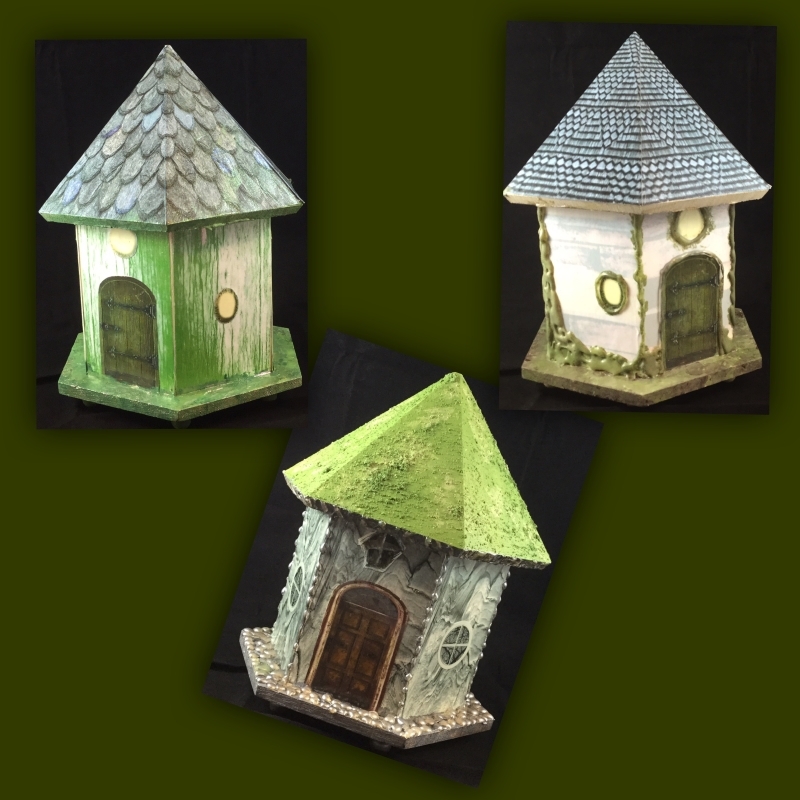 Welcome the fairies in your garden with a fun little house designed just for them. Personalize it with moss or concrete textures, stencils, & other items to make it uniquely yours. A glass eye, texture & painted finishes transform the cover of a small journal.Start with a small hardcover notebook as the base and then use Aves epoxy clay to add texture. Embed a glass eye and finish with Plaid paints and you’ve created the perfect dragon (or monster of your own design). A small glass eye, texture and painted finishes transform a card box to a fantasy storage box. 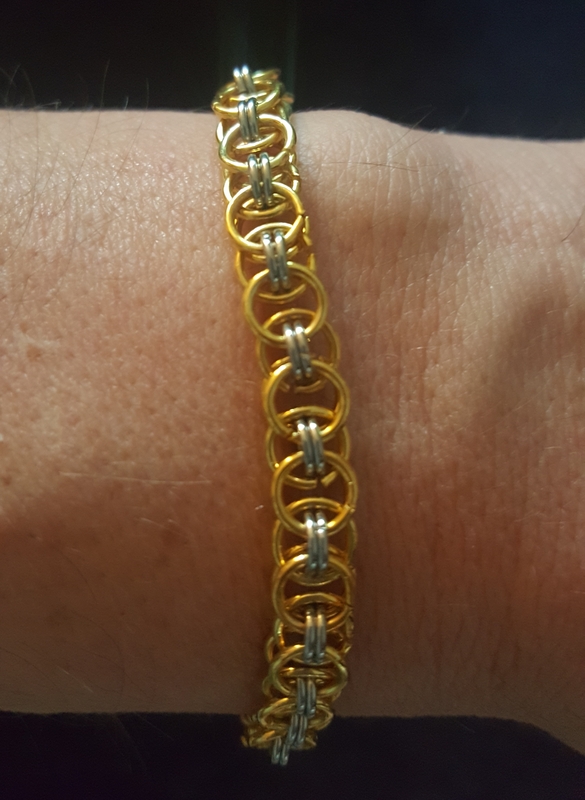 Learn the basics of chain maille while you build a bracelet. Use this class as a jumping off point to include chain maille in your cosplay. 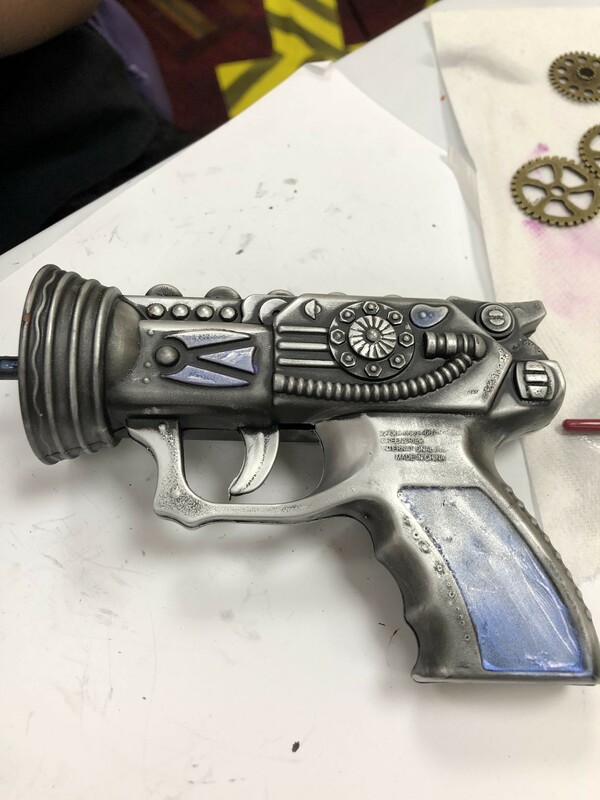 Create two cosplay guns from plastic toy guns using Plaid’s collection of paints & effects. 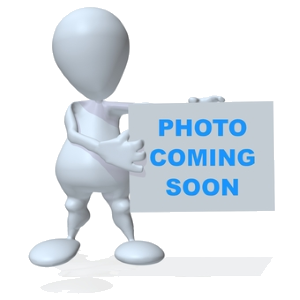 Turn a piece of slate into the perfect cheese board with an image you choose. Many choices of emblems, first come first served. Do you know the way to Fairy Blvd? 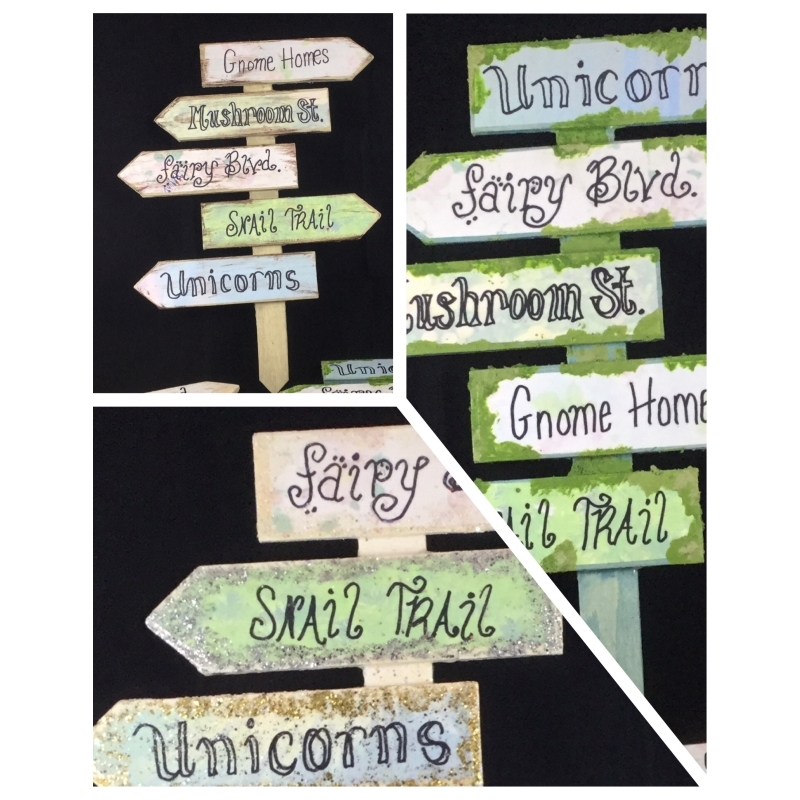 Create a colorful signpost so gnomes can find their way. Paint the sign, add destinations of your choice, distress and leave with an outdoor garden accessory. 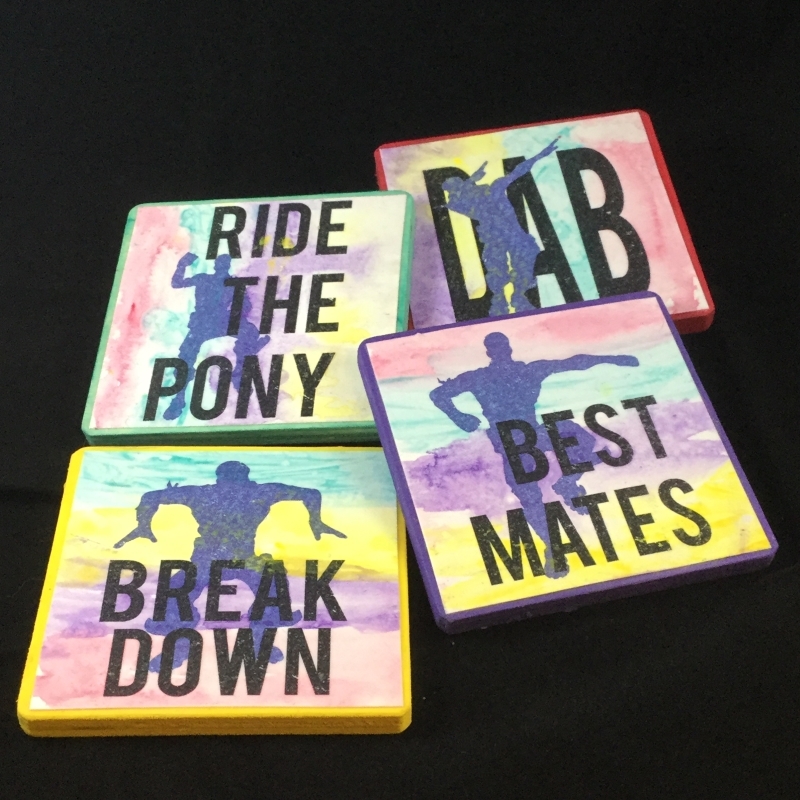 Create 4 coasters by coloring nerdy templates we provide or drawing/writing your own design with Artesprix Sublimation Markers, then transfer the design to a coaster using a Happy Crafters Pink Press. Use scissors to cut & trim HeatForm to create a unique gauntlet. 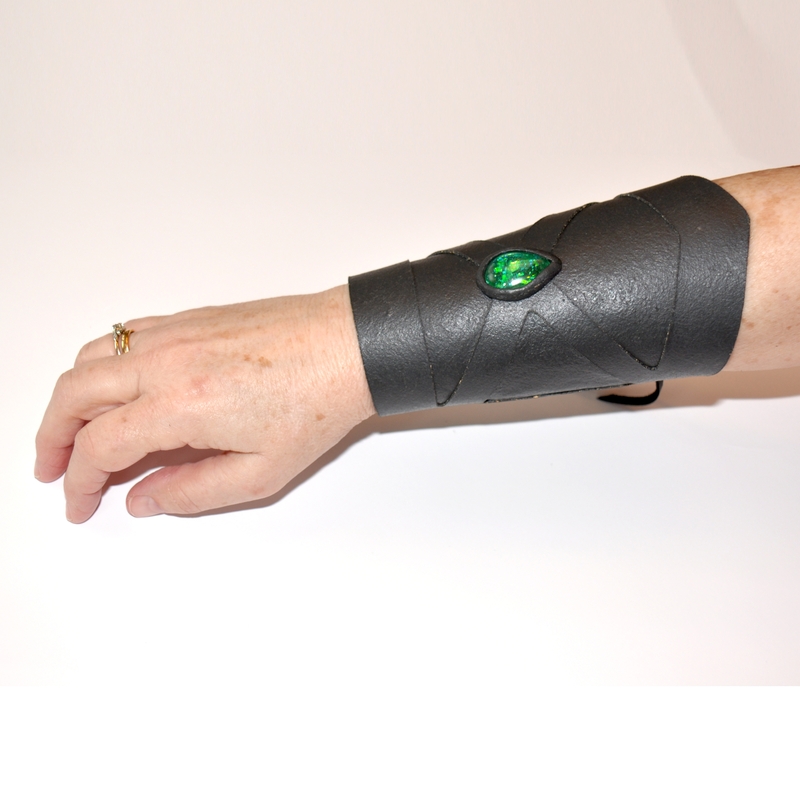 Shape pieces of HeatForm to embellish the gauntlet and create a “setting” to embed a faux jewel. Cover plastic eggs with Aves epoxy clay, add texture and paint to create dragon eggs. Mold the clay and embed class eyes to add a hatch-ling to one of your eggs.